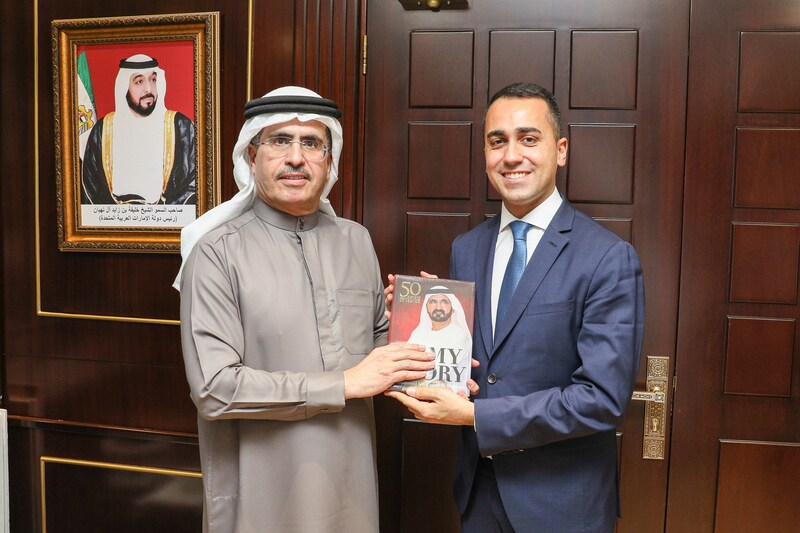 DUBAI, 15th April, 2019 (WAM) -- Saeed Mohammed Al Tayer, MD and CEO of Dubai Electricity and Water Authority, DEWA, received at the Authority, a high-level delegation headed by Luigi Di Maio, Deputy Prime Minister and Minister of Economic Development and Labour of Italy. He noted that DEWA currently has an installed capacity of 11,100 megawatts (MW) of electricity and 470 million gallons of water per day. This supports the Dubai Clean Energy Strategy 2050 launched by His Highness Sheikh Mohammed bin Rashid Al Maktoum, Vice President, Prime Minister and Ruler of Dubai, to provide 75 percent of Dubai's total power output from clean energy sources by 2050.